No functionality is as important to tracking the customer journey from paid ads into our digital web engagement as UTM campaign tagging. Yet, for many reasons, this functionality is one of the most misunderstood/mismanaged functionalities I have seen. Whether it’s been in my years helping fortune 100 marketers or working with small digital agencies, it’s always mismanaged. This is why I decided to stop having to talk about this every time I meet with a client and instead share my Best Guide to UTM Campaign Tagging for Digital Marketers with all of you. 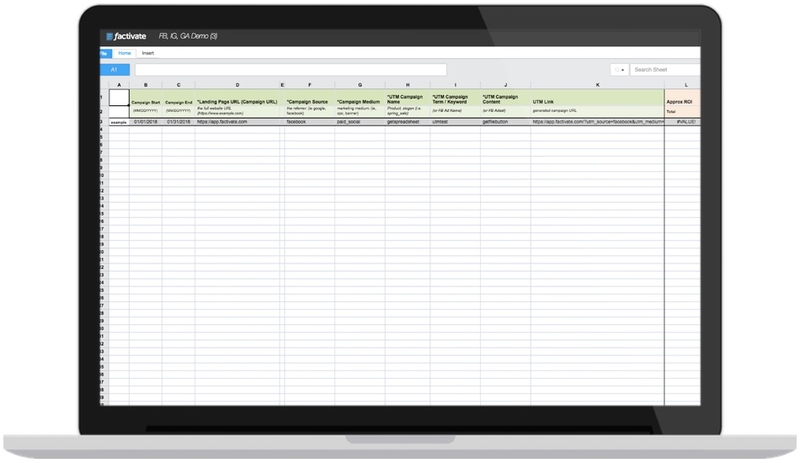 FYI – If you’d like to use our UTM Campaign builder and tracker, we’re making it available to you through this spreadsheet template here Facebook Campaign URL UTM Builder & Report Tracker and view the actual publicly shared spreadsheet here! I’m a huge proponent of UTM tags because it enables us marketers to track the effectiveness of all of our marketing efforts. Furthermore, it also helps us better understand user behavior beyond simply believing the numbers reported inside the analytics portal of the paid channel. I am writing this guide because I believe that if marketers understood the real power of campaign tagging, with the level of data granularity they could achieve with it, then I can help marketers make more money…and let’s face it…we’re all about the cheddar. What is UTM Campaign Tagging in Digital Marketing? When a visitor comes into a site that has a Google Analytics tracking code installed, Google is able to capture information via data cookies: ie, where do they come from (source), what path they used to get here (organic, referral), gender, age, etc… Campaign Tags are able to overwrite this sometimes too generic information with your own custom information so that you can be specific with what Google should report. Users can set up campaigns using “query parameters” that you add to links in your paid or unpaid marketing campaigns. When you do this correctly, Google Analytics will display when traffic comes to your site via these specific links. Why do we need to Tag? Campaign tagging consolidates all campaign data in a set of campaign reports. With these reports, you can often find real insights when you break down the data by segments. If you’re running paid search campaigns outside of adwords, these visits will also show up as organic and give you a massive migrane. If you’re running campaigns on social sites, Analytics will display this as referral traffic. If you’re running a campaign via a social site, their “conversions” might be considered different from your Analytics definition of “goals” or leads. This can skew your data drastically. (Trust me, I worked with an agency that once reported 10,000 Facebook conversions, when actual revenues were closer to 3,000 conversions) BIG DIF ON CAMPAIGN ROI! Visits from webmail providers (such as Gmail) don’t pass referrer data. Visits from mobile show up as “direct” because of restrictions in passing referer data. Suffice it to say that when you’re analyzing traffic in some way, you want to make sure you track everything correctly. This helps you accurately prove the value you’re providing as a marketer and optimize all of your campaigns using a common analytics language. Building a UTM tag requires more than going to Google’s Campaign Builder and simply copying and pasting the link in your ad. The best marketers I know maintain a UTM Campaign Library (often numbering in thousands of ads) with specific UTM naming conventions. When they do this, a great marketer can tell the ad’s objective, audience, segment targetted, source, medium, ad location, ad size, and more. This is probably the most important part of this entire article and I recommend you try to use or expand on these lessons as I’ve had to learn them through some very painful lessons. I’m essentially sharing my Campaign Tagging bible with you guys …so PAY ATTENTION IF YOU WANT TO MAKE MORE MONEY! But before the cheat sheet version, let’s break down the parts of a “Campaign Tag”, starting with the big three: Medium, Source, Campaign. What is a Campaign Medium? Think of the medium as a channel category. You want mediums to be big, big platforms. Some of the mediums Google Analytics identifies include: organic, (none), referral, cpc, social. When tagging your links, you should follow the same form for your custom mediums. The reason you want these buckets to be big, is that it allows you to slice your data by source (ad channel) and campaign name when all of those numbers come in. If these categories are too spefici, then the segmentation becomes impossible. Below is a list that I’ve used with my campaigns. While this list isn’t exhaustive, it’s been able to work for all of my clients throughout the past 10 years or so. The source indicates where the link lives. It will track where the user also clicked on a link and it is critical that you are consistent in naming your campaign sources. Not doing so, can lead to Google Analytics reporting your twitter campaign data as t.co and twitter.com and you will have no idea why. Note: t.co is twitter link’s wrapper. Before using t.co, links from desktop and mobile apps were showing up in analytics as direct traffic. If you publish a link on Twitter, set your utm_source to twitter.com. If you publish on Facebook, then set it to facebook.com. Pretty straightforward. This list will expand as you work with more channels but hopefully you get the idea for why it is important. Most advertisers believe Campaign Name should be the name you’re currently giving to your advertising campaign. Strategic, well-organized marketing campaigns should have campaigns that use multiple mediums and sources. You will likely be testing different ads in different sources/mediums to see which one works best. As easy as naming campaigns may seem, you should really think about it. Adopting a common campaign naming convention is CRITICAL to preventing confusion on different campaigns. For all of the companies I’ve consulted with, we’ve adopted a three pronged process to naming campaigns: Campaign Date_Campaign Audience_Campaign Name. When we combine all of these, we add the result as our UTM campaign name. For my UTM Campaign Name, I would get: “daily_23to25_Reengagement_newsletter”. If I then want to review my campaigns, I can tell that this is a daily newsletter aimed a this audience with the objective Reengagement. Campaign Names are too narrow – I tend to see this with companies that send out a lot of emails. What they tend to do is give each day a unique campaign name. Sometimes, these emails follow different formats as well. Thus making it very difficult to group all of these visits. Campaign names are too cryptic. Sometimes developers automatically generate campaign names (purposely obfuscating them) so that their competitors can’t figure out what campaigns they’re running. The problem is that this also makes this extremely difficult for marketers to understand. If it’s not feasible to rename these cryptic campaign names, set up a lookup table in your database to use for in reporting (it’s a pain though). Campaign Names are too fragmented – Calling a campaign a unique name for each medium/source you publish to prohibits segmenting these campaigns later on. The more you can compare campaign performance across different channels, the better your strategy will become over time. Campaign Names follow naming conventions that should be reserved for medium and/or source. When you combine these items to create a Content parameter, you will end up with something like this: gif_header_200x300. Now you can start grouping paid campaigns by which contents were the most successful. Isn’t this awesome? Insights baby! The Term parameter is used in paid search campaigns to inform you of the keywords you’re bidding on. While Adwords automatically has these tags enabled, you should take this parameter to further help you understand your ads on your other paid channels. This is especially important if you’re running ads on Bing or any other paid search network since failure to do so will artificially inflate your organic search data. For non-search paid ads, we use this tool to help us identify the persona whom we’re targeting because…why not! This helps us further segment our ad results via persona targets. While many people might recommend against using this parameter, I have found it to be very helpful to me in the past. Campaign Objective: to introduce the tool to market and incentivize Facebook Ads specialists with a 7 day free trial. Reach out to leaders in the social media space. This file also includes GA and Facebook Data that helps me get to a ROI comparison between the channels. **Note, if you’re logged into Factivate, you can also make a copy for yourself by choosing FILE > Duplicate. Some social tools including Buffer and SocialFlow, automatically tag links for you hoping to save you time. This practice is sub-optimal and it’s lead me to moving away from those tools as a result. In some cases, these tools have even confused medium with source and corrupted a whole lot of data in the past. If you’re a large company, this can cause some serious under-reporting! My point here is: make sure YOU are the one creating and managing these links. The more control you have over them, the better your understanding of your data will become. To aid you with your tagging efforts, you can use the Factivate spreadsheet I’ve created. It will help you generate your UTM tags and will act as a UTM tagging library for your organization. Trust me, this is the most important file for my paid campaigns I’ve ever used and it has saved me from many Sunday night reporting hours! There is also a tab titled Monthly Report where you can view all of the campaign data released for that month. I recommend you follow the instructions in the first tab to make it your own. 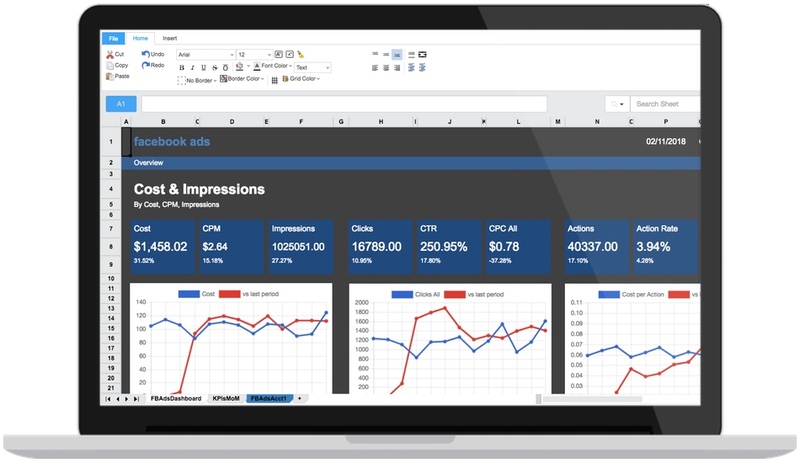 This will help you compare your data through all of your campaigns in one central location. Best of all, the data can extend beyond Google Analytics so that you can get a wholistic view of how your campaigns performed (as reported through the Facebook channel fore example). With it, you can now compare costs automatically.